Roasted edamame are quick to make and delicious to eat. 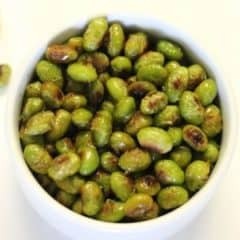 This easy snack is super delicious and quite addictive! Hi everyone! 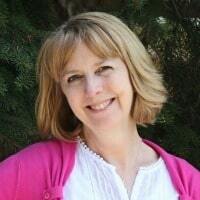 I’m Lisa from Life on Merlin and I’m delighted to be back as a member of the Kenarry Creative Team! 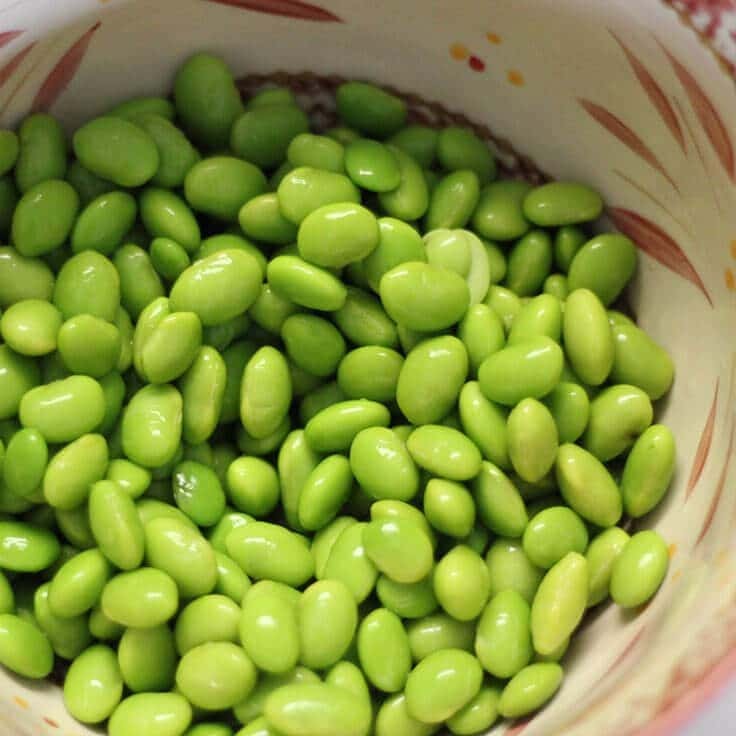 This month, I am sharing a quick and easy roasted edamame recipe that is sure to please. It is hard to find a snack that is both delicious and nutritious. 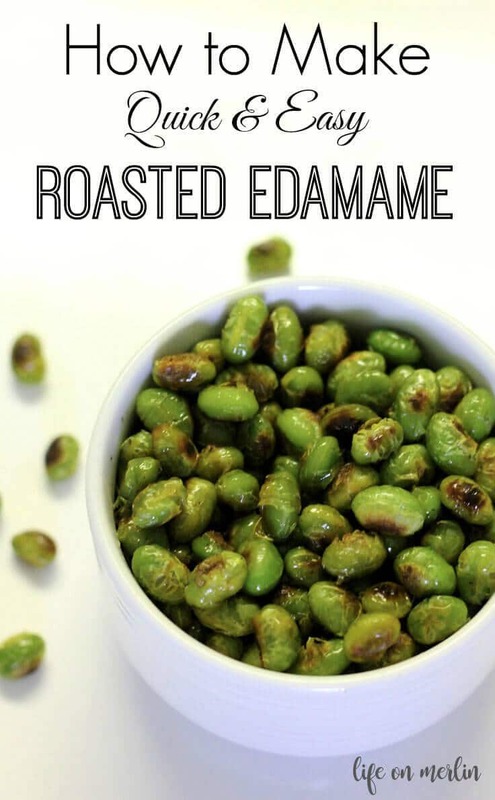 Roasted edamame fit the bill! This recipe only uses salt as seasoning, but you can use anything you want…cumin, chili powder and even parmesan cheese. Add some kosher salt and olive oil and mix well. Spread onto a baking sheet and bake them for about 30 minutes. 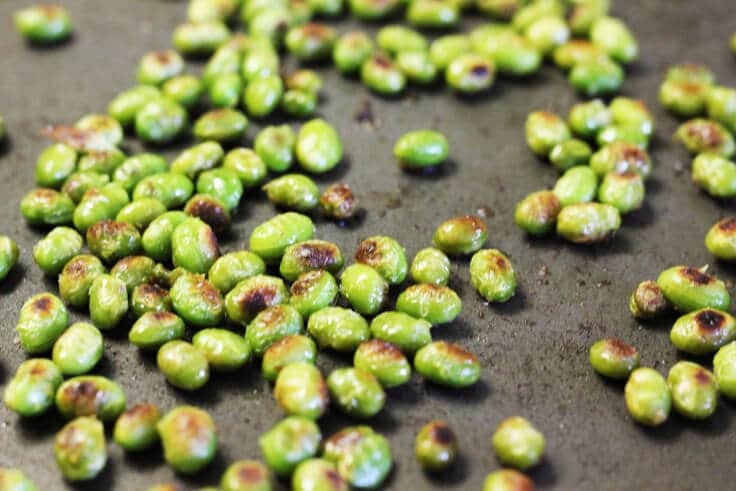 Put the oven rake down as far as you can and stir the edamame every 10 minutes. They should look like this when they are finished…brown and a little puffy. They will be crunchy on the outside and soft on the inside. Yummy goodness! 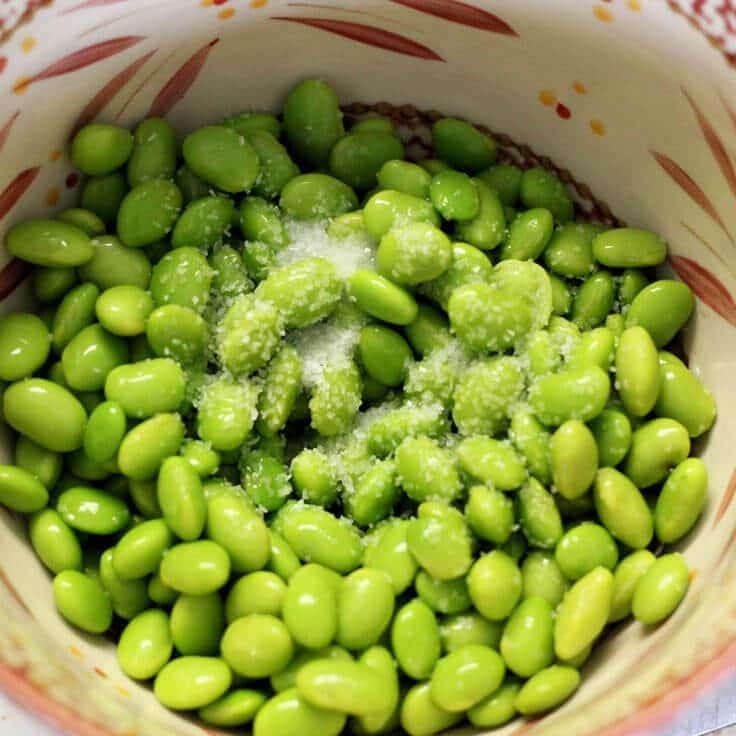 Put edamame in a bowl. Add olive oil and kosher salt. 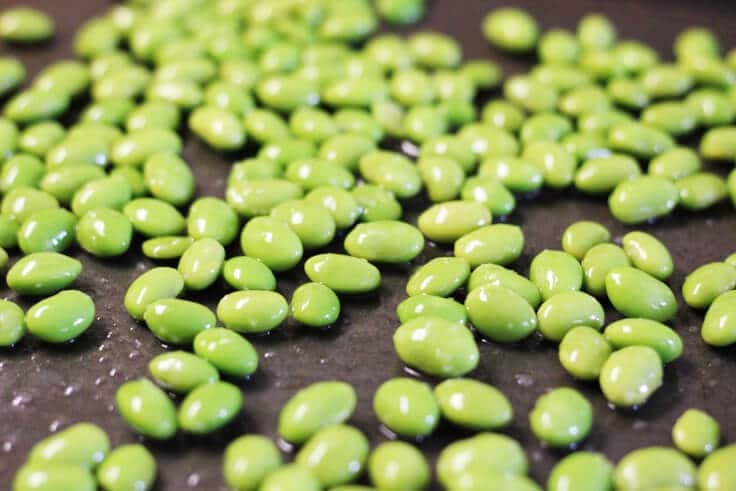 Spread the edamame on a sheet pan. Roast for about 30 minutes, stirring every 10 minutes. The outside will be brown and puffy.